BIGGEST SELLING WORLD MUSIC ALBUM OF ALL TIME! Lovingly re-mastered by the original team and pressed on heavyweight vinyl. 'Buena Vista Social Club' is both the name given to this extraordinary pool of musicians and the album, recorded in just six days in Havana's 1950s vintage EGREM studios. It was clear from the atmosphere of the recording sessions that something very special was taking place. 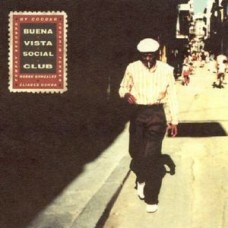 However, no one could have predicted that Buena Vista Social Club would become a worldwide phenomenon, outselling any other record in the same genre, elevating the artists to superstar status and popularising Cuba's rich musical heritage, all of which has contributed to a massive boom in Cuba's tourist and recording industries. 'Buena Vista Social Club' was released in June 1997 and has since come to be regarded as a classic, selling 7 million copies worldwide.